Let me introduce you to Diamond Class… I am Jenny the class teacher, Tracey is our TA2 and we have Elaine, Jodi and Mandy as teaching assistants. The pupils in Diamond class are: Aaron, Huma, Alex, Cameron, Aseeb, Sahir, Angel and Tyler. costume, religion, food, animals, dance and geographical location. Diamond class will be focusing on Australia, Africa and China throughout the half term. 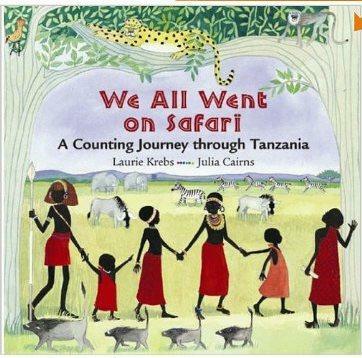 In Literacy we are using books that are connected to topic where possible. 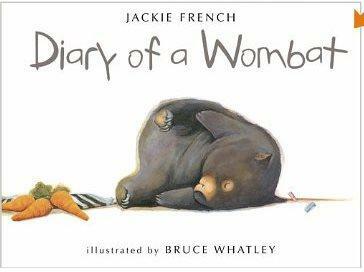 Two books we will focus on are Diary of a Wombat by Jackie French and We All Went on Safari: A Counting Journey through Tanzania by Laurie Krebs & Julia Cairns. This half term our topic is New Life which focuses on plants and animals. In class we will be growing and taking care of different plants, so we can investigate what they need in order to grow. We will also be walking around the local area to see what types of plants and trees grow near Richmond Hill school. Our live caterpillars have just arrived and we will be monitoring them throughout the half term to learn about the life cycle of a butterfly. The class will take pictures each week and keep you up to date on their progress. As part of the topic we will also be working on trying to name and explain the features of a range of familiar animals and insects, including matching animal young with their parents. To link with growing plants our Literacy book this half term is Jack and the Beanstalk by Nick Sharratt and Stephen Tucker. Description of the book from Amazon - As Jack scurried down the beanstalk, The hen squawked anxiously, "If that giant gets his hands on us, He'll eat us for his tea!" The story of Jack and the Beanstalk, retold in irreverent, playful rhyme that's perfect for reading aloud. With flaps and pop-up surprises on every spread. We will be trying to link our Numeracy areas with the story as much as possible over the half term. So watch our class page and see how we get on. In topic the children enjoyed making their own money containers from paper mache and then painting them. As the children became familiar with the story they focused on their speaking and listening skills by taking over the retelling and reading of the book each session, supported by story sticks and sentence strips. 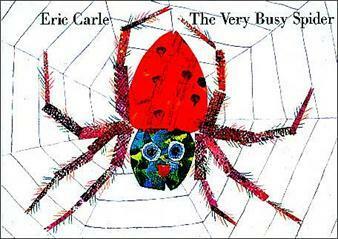 Our main activities had children identifying and writing animal names from the book, tracing webs and writing spider poems. The final piece of work was a giant class retelling of the story, which hangs across our classroom wall. Children had a page of the book each to retell in their own way and then created the section of web using glitter, from that part of the story. After this we focused on non-fiction information books about spiders.The children learnt about the body parts of a spider and labelled a diagram. As a class we created an information tree with everything they had learned about spiders and used this to write information sheets. The final book we focused on was ‘Ketchup on your cornflakes?’ by Nick Sharratt, which linked into our Cafes topic. It is split-page book that invites children to laugh at the fantastic and weird food concoctions they can create. The children were given their own blank split page book. They created their own pages using symbols, writing and pictures. Below are some examples of the interesting food concoctions they came up with!! !